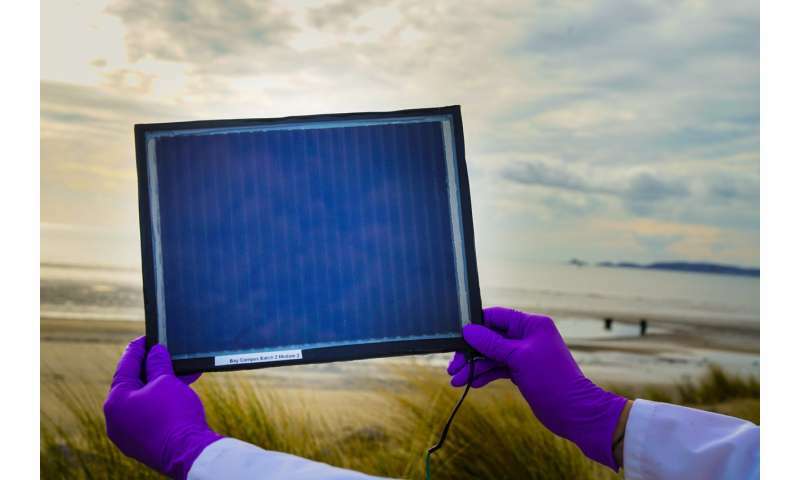 Perovskite solar cells have also proved to be highly efficient, with scores for power conversion efficiency (PCE) - the amount of light striking a cell that it converts into electricity—as high as 22% on small lab samples. The team work for the SPECIFIC Innovation and Knowledge Centre led by Swansea University. 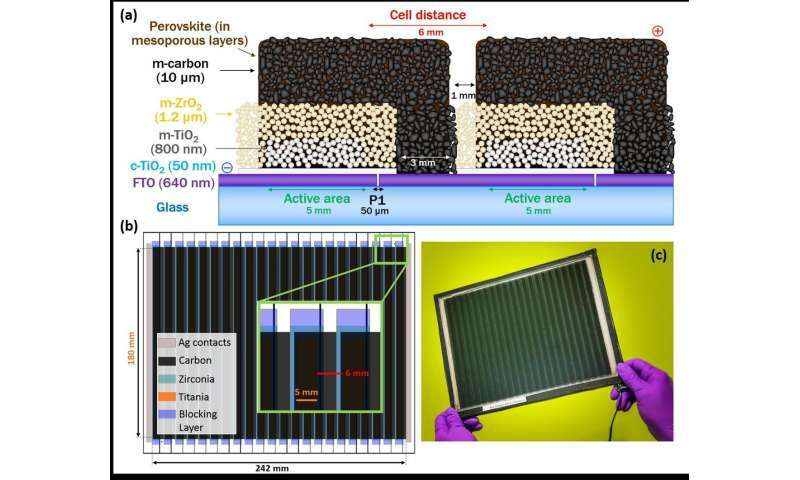 They used an existing type of cell, a Carbon Perovskite Solar Cell (C-PSC), made of different layers—titania, zirconia and carbon on top—which are all printable. up to 6.3% power conversion efficiency (PCE) when assessed against the "1 sun" standard, i.e. full simulated sunlight. This is world-leading for a C-PSC device of this size. 18% PCE at 1000 lux, equating to light levels in an average supermarket. The high efficiency ratings under indoor lighting conditions demonstrate that this technology has potential not only for energy generation outdoors but also for powering small electronic devices—such as smartphones and sensors—indoors. There is more work still to do, for example on increasing the active area—the percentage of the substrate surface that is actually used for producing power. We are already working on it. The study is published in Advanced Materials Technologies.